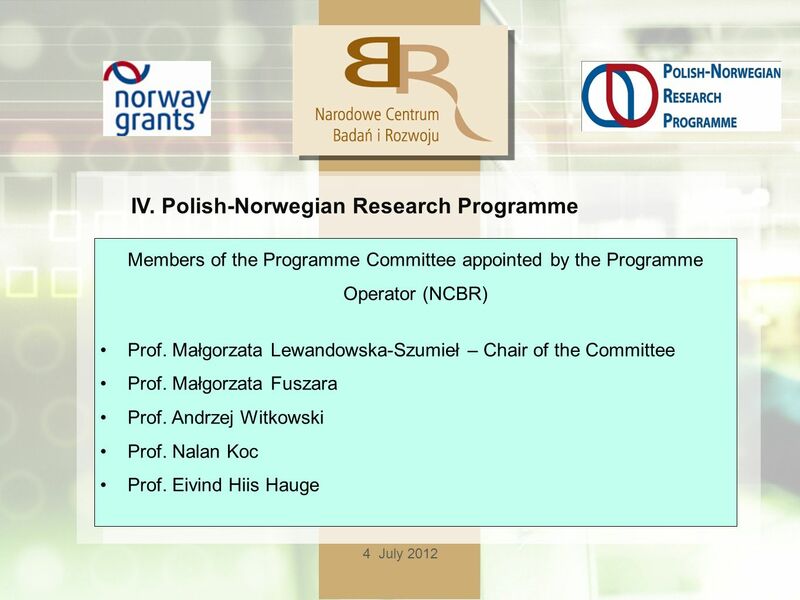 4 July 2012 POLISH-NORWEGIAN RESEARCH PROGRAMME Prof. Krzysztof Kurzydłowski Director National Centre for Research and Development. 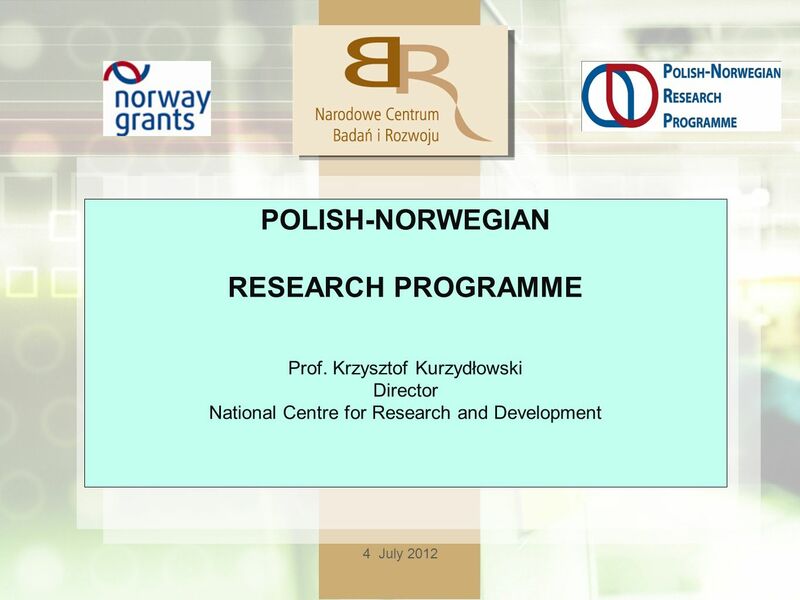 Download ppt "4 July 2012 POLISH-NORWEGIAN RESEARCH PROGRAMME Prof. Krzysztof Kurzydłowski Director National Centre for Research and Development." 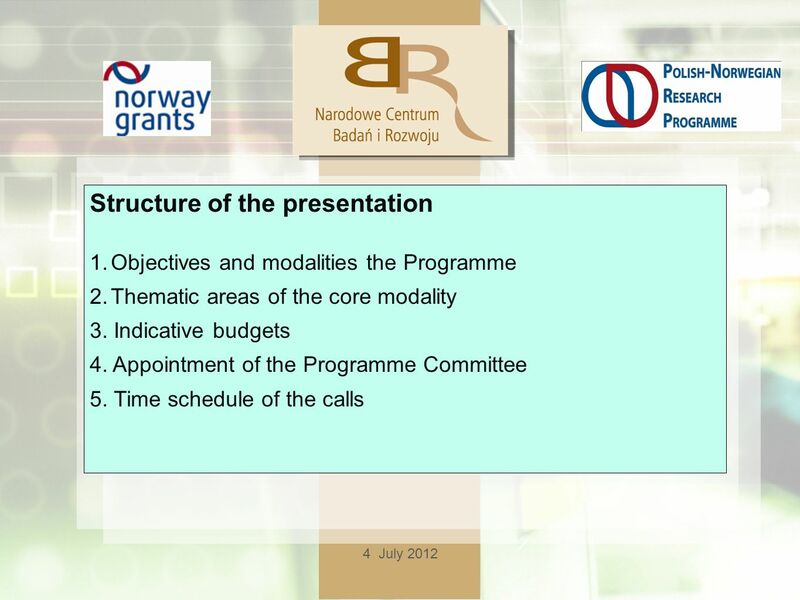 Science, research and development European Commission ENERGY, ENVIRONMENT AND SUSTAINABLE DEVELOPMENT Slide n° 1 of 15 MBC/fl - latest modification 10/03/1999. 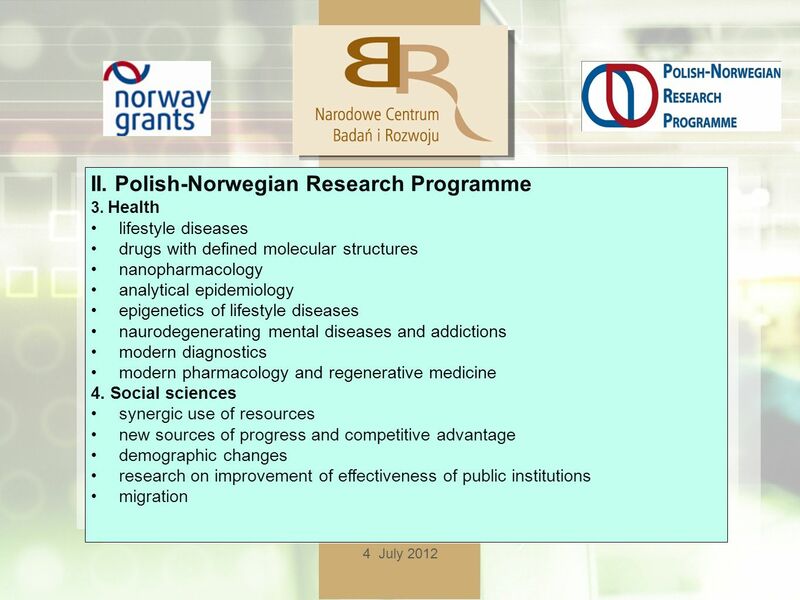 6/13th September 2012 POLISH-NORWEGIAN RESEARCH PROGRAMME Programme Description. 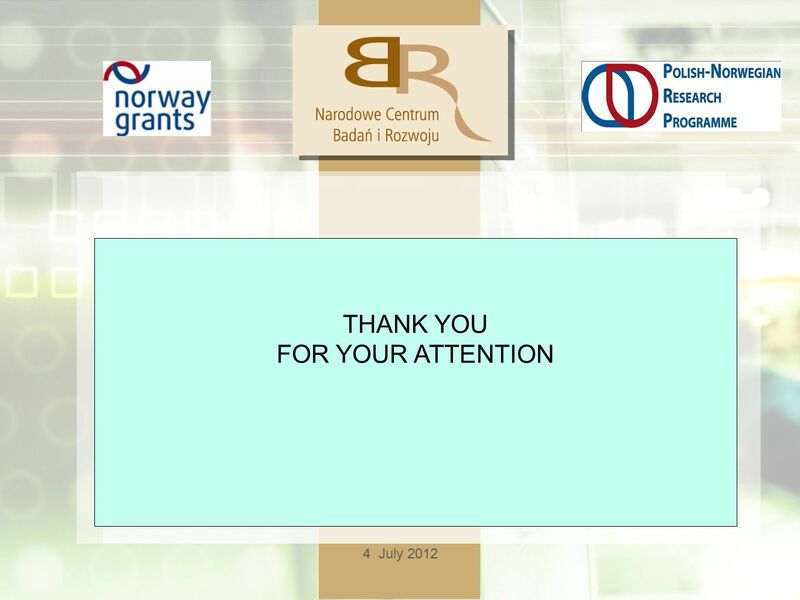 Norwegian support to health research on poverty related health problems – current situation and future plans Professor Roy H. Gabrielsen, Executive Director. 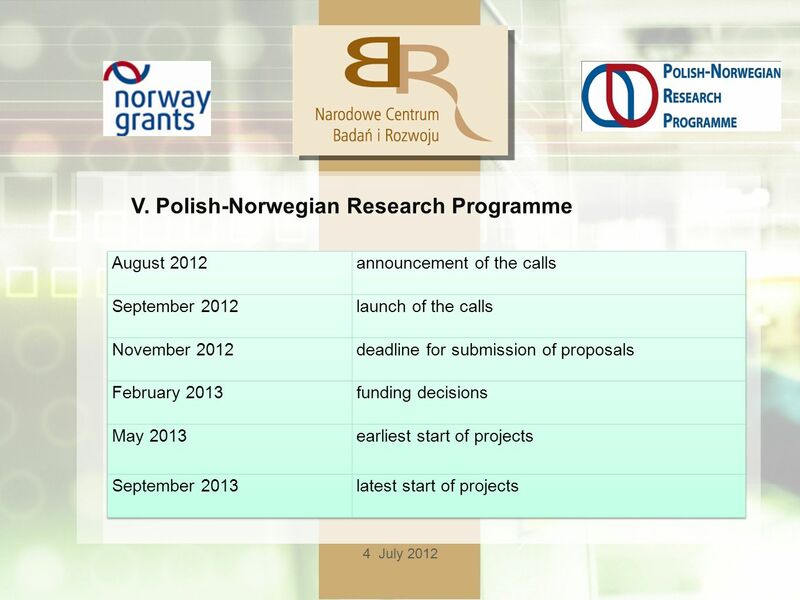 1 POLISH STRATEGY FOR STRENGTHENING RESEARCH AND INNOVATION KRZYSZTOF KURZYDŁOWSKI MINISTRY OF EDUCATION AND SCIENCE. 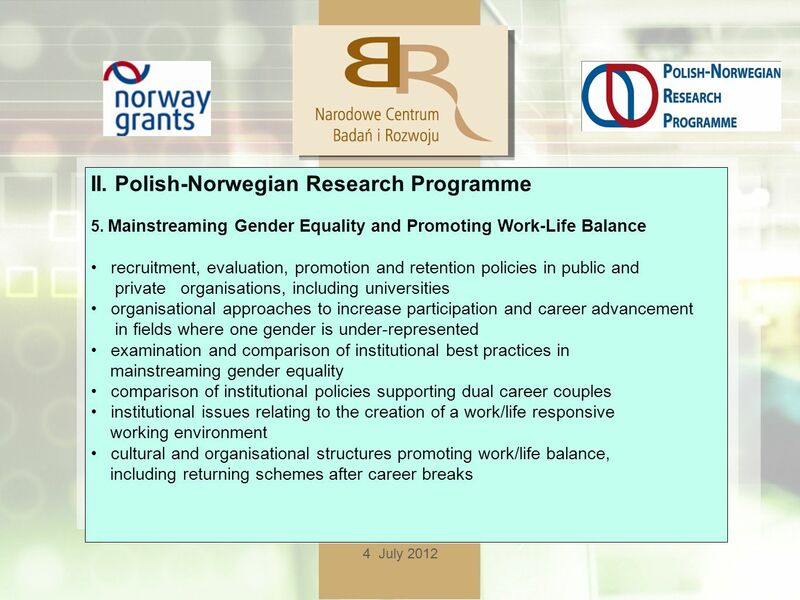 The EEA and Norway Grants Reducing disparities Strengthening relations Mr Stein Mona Country Officer, Financial Mechanism Office Croatia Launch 16 June. WETHYDRO Centre of Excellence in Wetland Hydrology Contract number: EVK1-CT Duration: Coordinator: prof. Stefan Ignar Department of. Rural Development Programme 2014 – 2020 Local Government Practioners Workshop 12 th February Lorraine Lynas RDP Managing Authority. 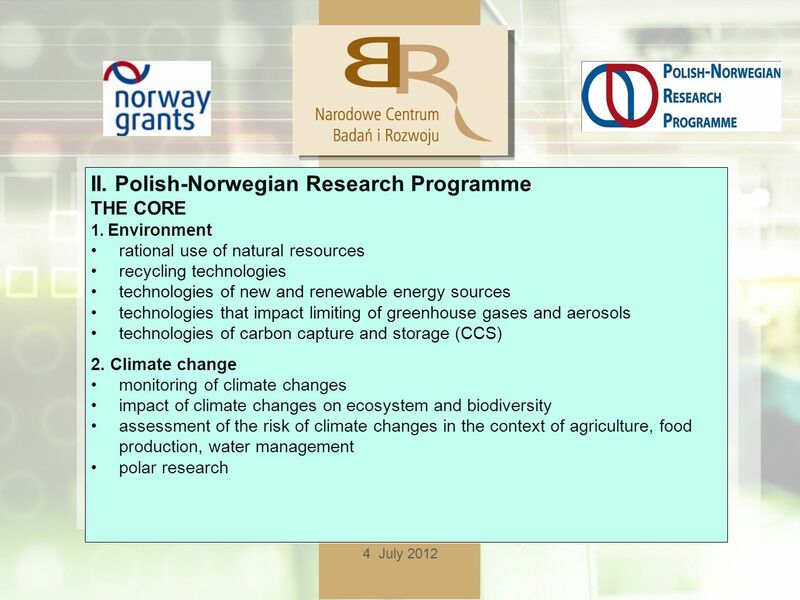 Green Industry – Good for Business and Good for Environment Tore Lasse By The Business Advantage of Green Innovation, the Norwegian perspective Vilnius. Mainstreaming Gender in development Policies and Programmes 2007 Haifa Abu Ghazaleh Regional Programme Director UNIFEM IAEG Meeting on Gender and MDGs. The implementation of the rural development policy and its impacts on innovation and modernisation of rural economy Christian Vincentini, European Commission. 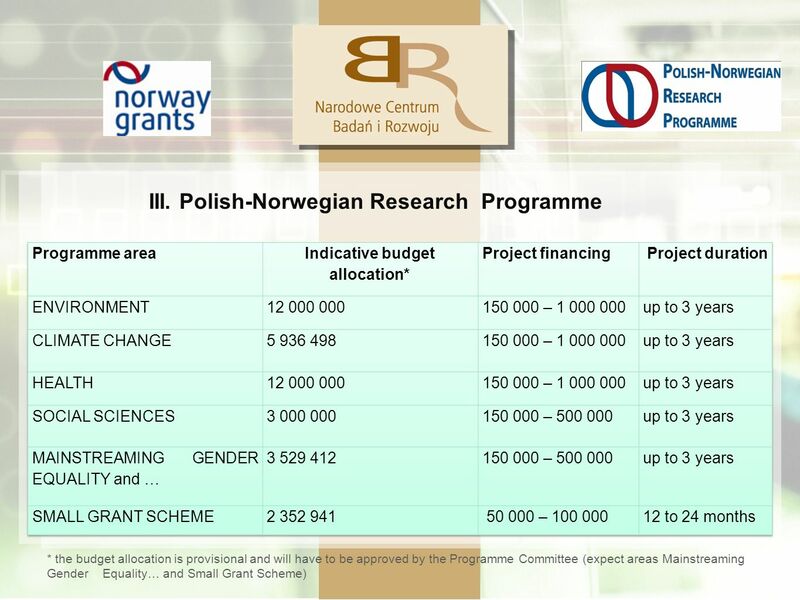 ‘Approaches to programme planning and budgeting’ Experience of Regional Centre for the Safeguarding of Intangible Cultural Heritage in South-Eastern Europe. 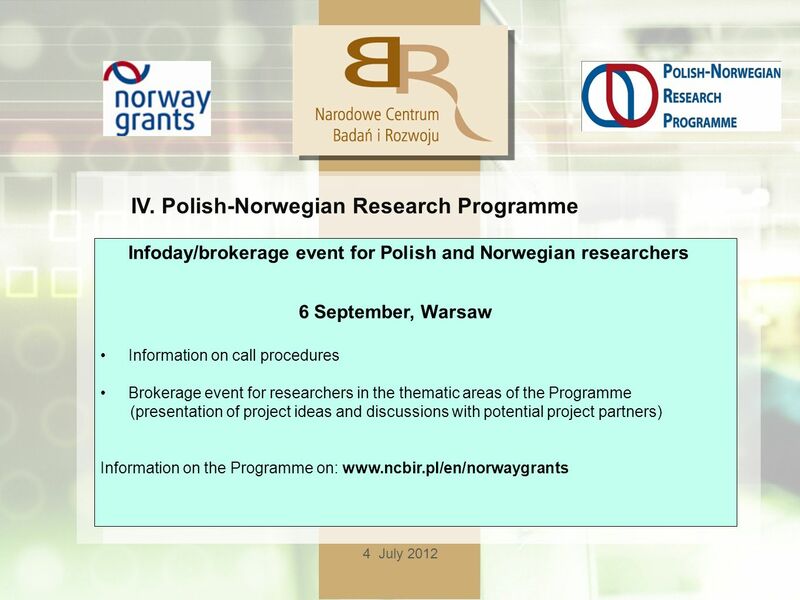 ENER - INDOOR Centre for Energy Efficient Technologies and Systems in Indoor Environment Engineering ENER-INDOOR Silesian University of Technology Chair.